The annual Art of Beer event is back on its 13th year! Get to enjoy great food and beer samplings from local restaurants and breweries! 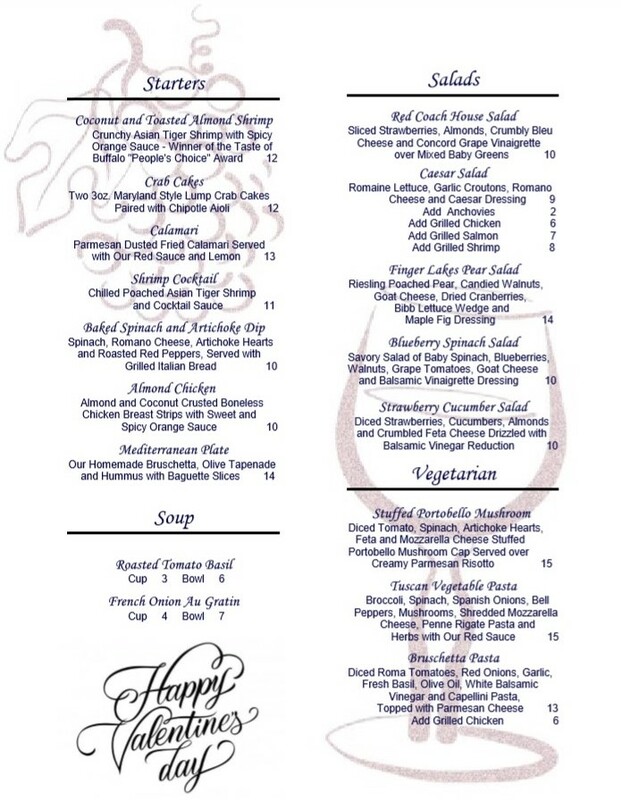 The Red Coach Inn will be participating as one of the restaurants offering food tastings to all event attendees. Also, we are further supporting the Niagara Arts and Cultural Center by offering the ART OF BEER PACKAGE at our bed & breakfast: one price for a complete Art of Beer experience! View the Art of Beer Package inclusions below and call us at (716) 282-1459 to book the package TODAY! Transportation to and from the event. *Cheese and cracker tray & a tasty adult beverage upon arrival! 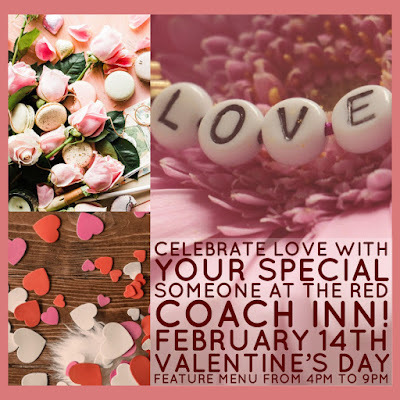 LOVE IS IN THE AIR AT THE RED COACH INN! 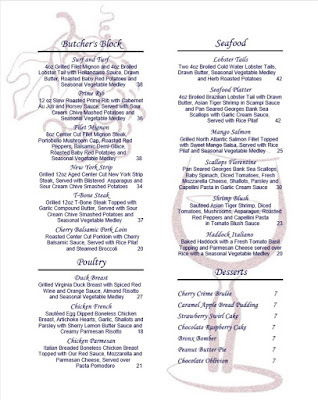 Express your love to your special someone with a scrumptious meal on Valentine's Day. 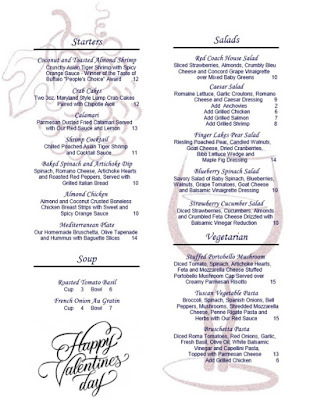 We will be running a special menu from 4PM to 10PM featuring some very special entrees! 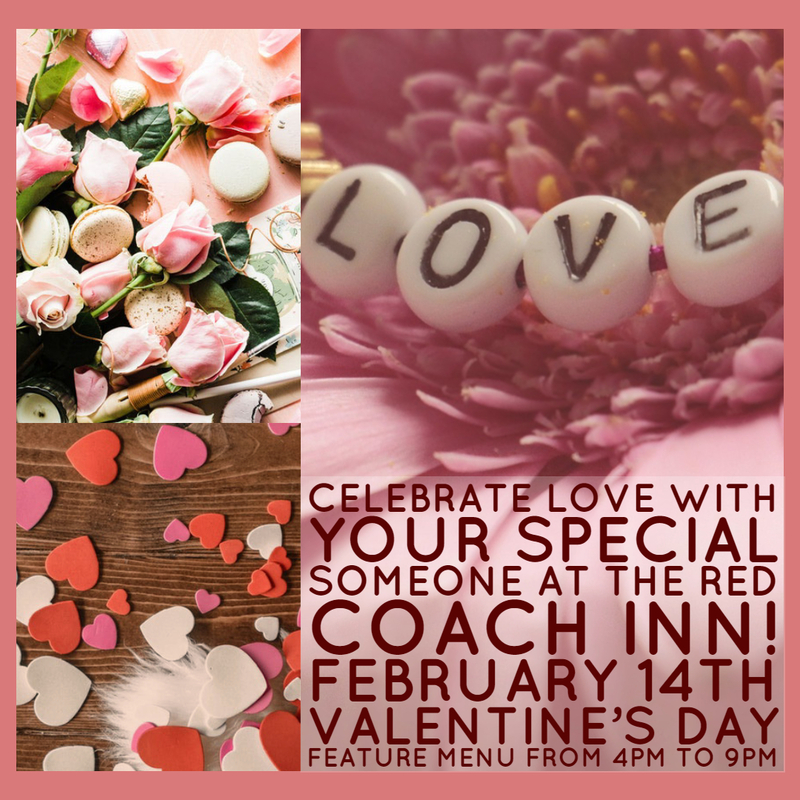 Celebrate love with us! 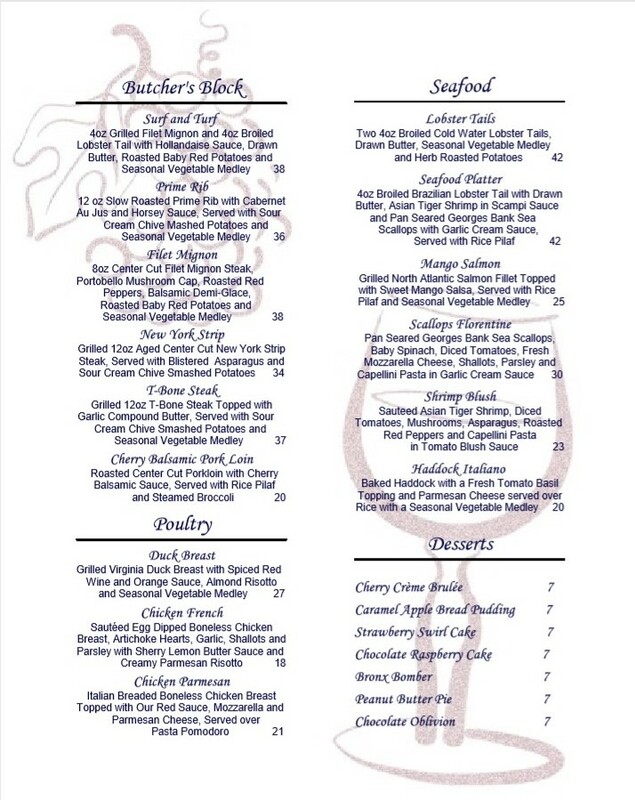 Check out our Valentine's Day Feature Menu below. Click to enlarge the photos. 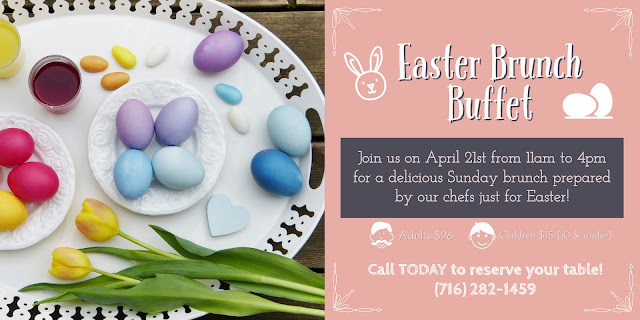 We have a limited number of tables by the windows, overlooking the rapids of the Niagara River, as well as by our wood-burning fireplace, so call today to reserve your table! You can reach us at (716) 282-1459.